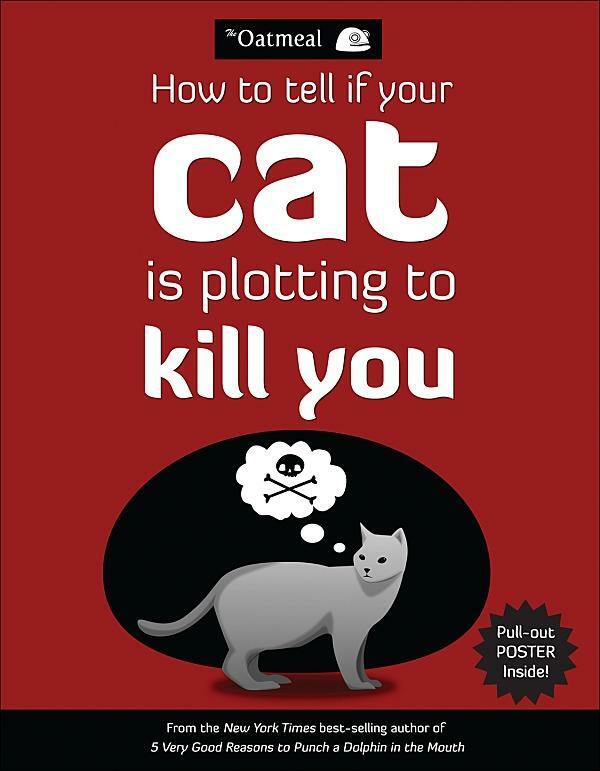 If you’ve ever wondered if your cat is planning to bump you off, you're not alone: The cartoonist behind the quirky web comic The Oatmeal is right there with you. On Monday's Up to Date, Matt Inman, who also knows five good reasons to punch a dolphin in the face, joins us in the studio to discuss the unique world views of his comic strip. HEAR MORE: Matt Inman speaks Monday evening at 7 at Unity Temple on The Plaza, 707 W. 47th Street. For ticket information, click here. Matt Inman is a 27-year-old web designer, developer and online marketer. He lives in Seattle, claims to subsist on a steady diet of crickets and whiskey. He enjoys long walks on the beach, gravity, and breathing heavily through his mouth. His dislikes include scurvy, typhoons, and tapeworm medication. He recently spearheaded a successful campaign to raise $1 million to buy Nikola Tesla's laboratory with the goal of making it into a museum.